Perpetual Novena (every Friday) to Señor Santo Niño. Please pray with us in spirit﻿ virtually via our weekly posting of the readings & reflections for every Friday via our FB page and Twitter. Fiesta Señor 2019 (full details at the Fiesta Señor page). Past Fiesta Señor celebrations: themes & 9-day Novena Readings and Reflections can be viewed at our Achives page; photos can be viewed at our Photo Gallery page. 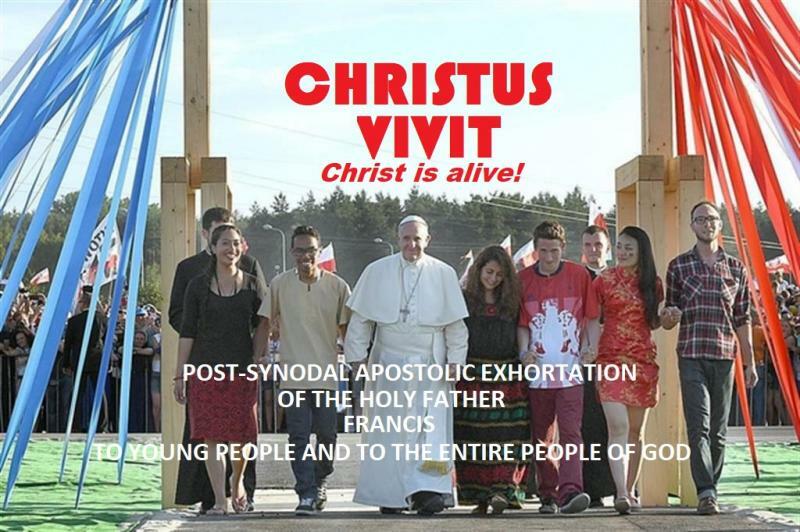 Post-synodal apostolic exhortation #ChristusVivit of the Holy Father #PopeFrancis to young people and to the entire people of God. Given in Loreto, at the Shrine of the Holy House, on 25 March, Solemnity of the Annunciation of the Lord, in the year 2019, the seventh of his Pontificate. This is an invitation to journey with us in reflectively reading @Pontifex's call for us to respond. We shall be posting an article per day for the next days. 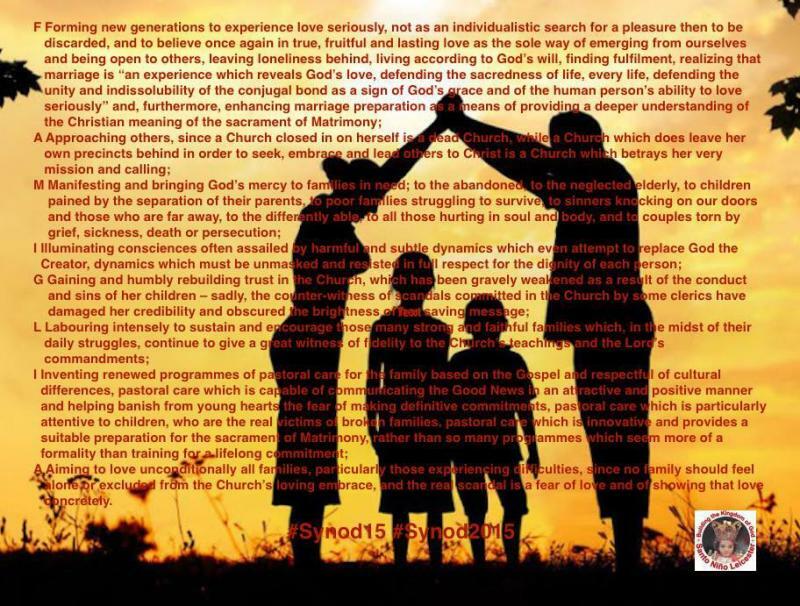 We would like to share the 30 Twitter posts by Pope Francis taken from his apostolic exhortation Amoris Laetitia﻿ (The Joy of Love), on the Gifts & Challenges of Family Life, especially for those without twitter accounts. We have collated the photos shots of all these #AmorisLaetitia tweets by @Pontifex (please click the hyperlink to access). 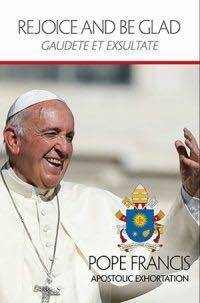 We would like to share the 63 Twitter posts by Pope Francis taken from his encyclical Laudato Si﻿ (Praised Be to You), on Care for Our Common Home, especially for those without twitter accounts. 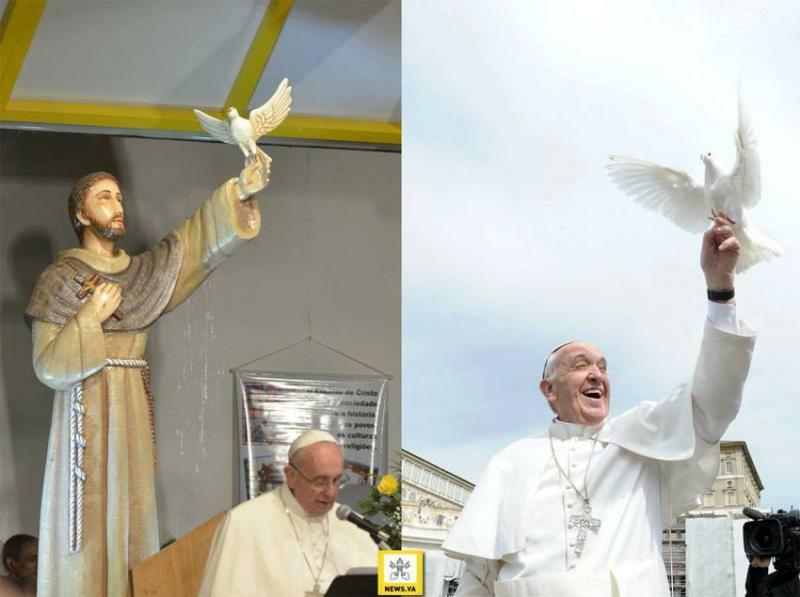 We have collated the photos shots of all these #Laudato Si tweets by @Pontifex﻿ (please click the hyperlink to access)﻿. Becoming a community of devotees to Santo Niño de Cebu that journeys together towards fullness of life committed to proclaim the Word of God with our lives and to spread the devotion to Christ; hereby, giving our contribution to the building up of the Kingdom of God. Every Friday - Virtual Perpetual Novena via and with prepared downloadable 'Perpetual Novena Readings & Reflections from ourLinks/Resources page. Also via weekly posting at our FB Fan page and Twitter. Every 1st Friday - Comnunal Perpetual Novena at Blessed Sacrament Church side chapel. Details at our Santo Niño page. Every 1st Saturday - the Community Choir of Santo Nino Leicester animates the singing of the Eve of Sunday Mass at Blessed Sacrament Church. Every year - Fiesta Señor. Feast-Eve solemn celebrations precedeed by 9-days novena prayers (with readings & reflections). Details at our Fiesta Señor page and Fiesta Señor themes & 9-days novena readings & reflections page. Holy Family of Nazareth, may families never again experience violence, rejection and division; may all who have been hurt or scandalized find ready comfort and healing. 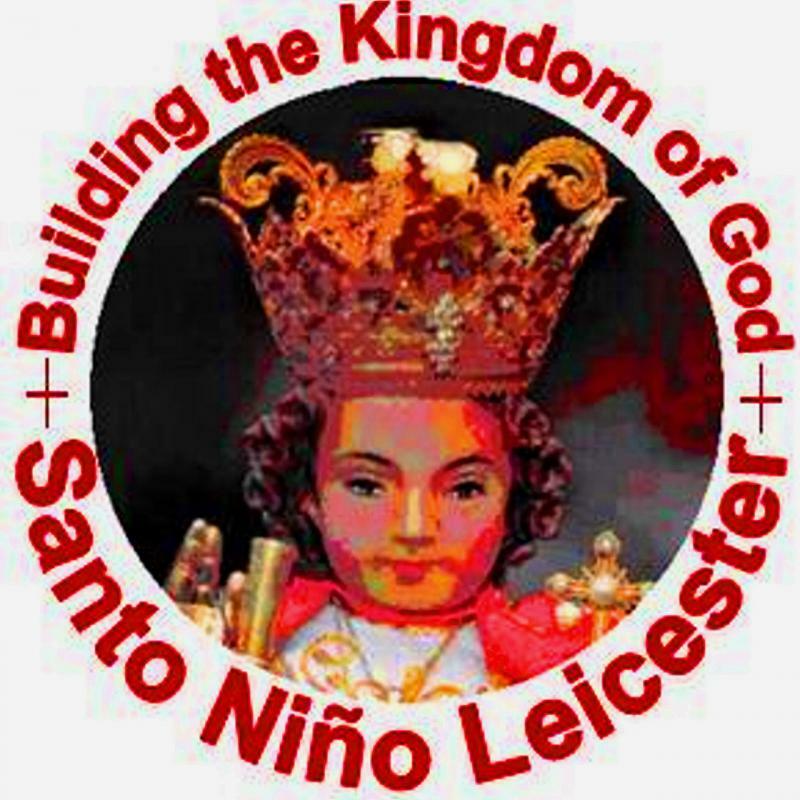 This site is dedicated to all people in Leicester & Leicestershire who are devoted to Señor Santo Niño. We consider it as our mission to spread the devotion to Señor Santo Niño to Filipinos and Non-Filipinos too here in Leicester & Leicestershire...and all over UK as well. We also offer to all devotees and their friends the possibility of having Leicester as a pilgim center here in the UK considering that it is geographically located at the center of the UK. All pilgrims all over the UK are very welcome to our yearly Fiesta Señor.